A British court ruled on Friday (19 June) against legal copying of music for private use. A judge sided with UK music industry groups in the case, saying exceptions to copyright law introduced by the UK government last fall would damage rightsholders. The government introduced a set of exceptions late last year, allowing users to reproduce copyrighted content onto CDs, MP3 players or other devices without permission if the copies are for their own use. The court decision comes on the heels of the European Parliament’s legal affairs committee (JURI) vote in favour of copyright reform measures last Tuesday (16 June). 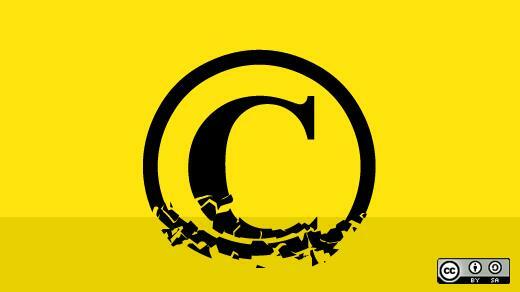 The approved report includes an article on copying copyrighted material for private use. The Parliament committee’s adoption of the report is not binding and will face a vote in Parliament’s plenary session early next month, ahead of the European Commission’s announcement of its copyright reform agenda this fall. Any new European legislation on copyright will replace the 2001 Copyright Directive, which allows member states to implement exceptions on copying material for private use. The British government’s exceptions allowing private copying were struck down in Friday’s court decision, since there were no other measures in place to ensure artists and rightholders are compensated, which is a condition of the EU Copyright Directive. British music industry groups, led by the Musicians’ Union, the British Academy of Songwriters, Composers and Authors (BASCA) and lobby group UK Music requested a legal review of the UK government’s new exceptions allowing private copying. Private copying is one area where member states’ differences are clear. Some, including Germany, France and Belgium, impose levies on CDs, DVDs, cassettes and other devices that can be used for copying recordings. Others have no levies in place at all. It isn’t clear what the remedy for the newly nullified UK exceptions will be. One solution that would meet the court’s requirement for safeguarding rightholders’ earnings would be levies on devices, like those that exist in other European countries. The report adopted by the legislature”s legal committee last week says copying recordings for private use shouldn’t be “technically limited” but doesn’t explicitly address the question of levies. The paragraphs on private copying in the report from German Pirate Party MEP Julia Reda were heavily marked up by MEP amendments earlier this year. German MEP Angelika Niebler (EPP) logged one amendment suggesting technical limits be imposed to hamper copyrighted material from being reproduced. Reda, rapporteur on the copyright report, logged her meetings with lobbyists on her personal website, detailing talks with representatives from Samsung, tech industry association DigitalEurope and the International Federation of Reproduction Rights Organisations (IFFRO) specifically to discuss the article on private copying. Reda also met with music industry groups about the copyright reform. In a statement after the JURI vote, DigitalEurope said reform is still needed on private copying. “Levies, particularly device-based levies, are a totally inefficient and un-transparent way of compensating artists,” the statement reads. Consumer technology manufacturers have opposed levies on devices, often sparring with music industry groups. A representative from European music industry association Impala was not immediately available for comment. Copyright holders hold the exclusive right authorise or prohibit the reproduction of their works (books, films, music, etc), under the 2001 Directive on the harmonisation of certain aspects of copyright and related rights in the information society. The text allows member states to make exceptions to this right, for example with private copying. But exceptions are not harmonised across the EU. The owners of rights must be compensated for lost revenue if their works are copied as one of these exceptions. Some member states provide this compensation by levying a tax on electronic hardware that can be used to store copies of cultural works (like blank DVDs, recording equipment, MP3 players, photocopiers, etc).